Railpictures.ca - Paul Santos Photo: Former Chicago North Western SD40 rebuilt to dash 2 standards for CITX leasing. | Railpictures.ca – Canadian Railway Photography – photographie ferroviaire Canadienne. 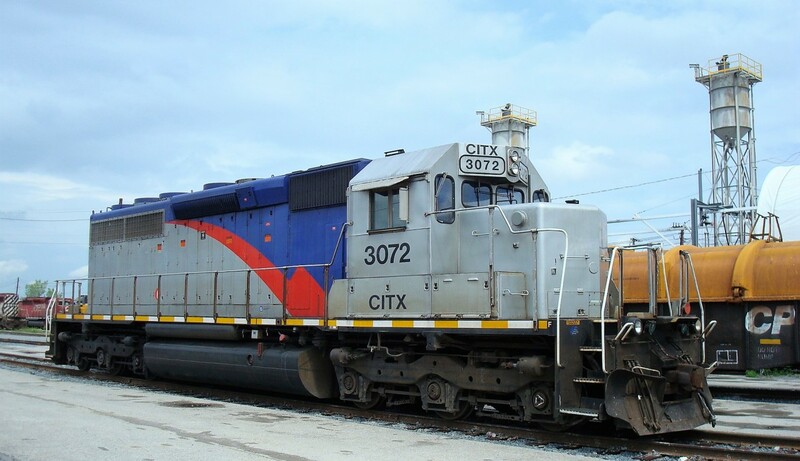 Caption: Former Chicago North Western SD40 rebuilt to dash 2 standards for CITX leasing.